AT OUR ANNUAL St. PATRICK'S DAY CONCERT! The Southern Highlanders perform a music tapestry of Scotland, Ireland and the Southern Appalachians, as well as more recent compositions in the traditional mode. All are singers and instrumentalists, including the guitar, mountain dulcimer, hammer dulcimer, fiddle, piano, pennywhistle, concertina, jaw harp and various percussive instruments. 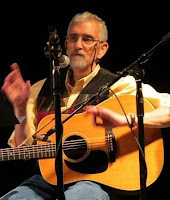 Doug and Darcy Orr have been performing music for over 25 years through their previous Celtic/Appalachian band Maggies Fancy in Charlotte, as they recorded and toured through several states, and during subsequent years at Warren Wilson College where Doug served a president from 1991 to 2006 and founded the Swannanoa Gathering summer music camp. 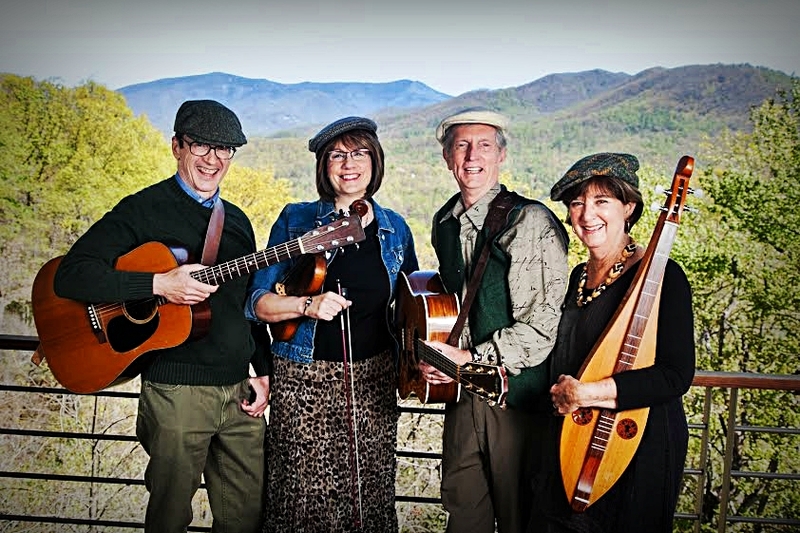 Doug has published a top-selling book, Wayfaring Strangers with Fiona Ritchie, host of NPR’s The Thistle & Shamrock, about the musical connections between Scotland, Ireland and the Southern Appalachians. Darcy, an oil and watercolor painter, is the book’s art editor. Joe and Karen Holbert began performing together in the early-1980’s as multi-instrumentalists and singer-songwriters. They have their own recording, Appalachian Saga, and can be heard on recordings of several other musicians. 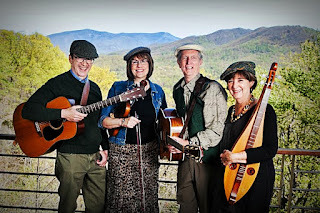 Joe and Karen performed at the Asheville Mountain Dance and Folk Festival for 21 consecutive years, winning awards for their performances, and now return there each year with the Southern Highlanders. Joe retired after 30 plus years as a music educator, and he taught a variety of instruments to adults at summer music camps. Karen retired after 30 plus years as a special educator and clinical social worker, and she danced semi-professionally with the Cobblestone Cloggers. 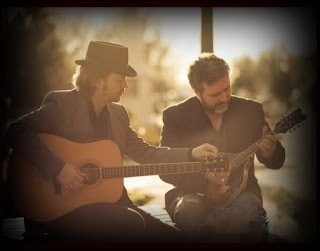 The Belfast Boys have graced our venue’s stage many times with their innovative take on traditional Irish music. 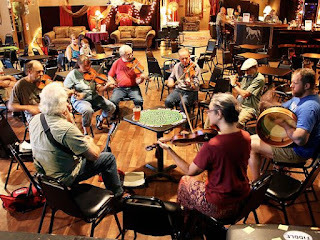 White Horse hosts an open Irish Jam Session each and every Tuesday evening. Jam sessions are an important tradition in Ireland as musicians, singers, players, dancers, gather regularly at local pubs to make music. Sessions are usually led by fiddlers and are very participatory with different musicians invited to select the next tune or to share a song. We honor this tradition weekly and some of our weekly "sessioners" will be on hand to kick off the musical portion of the evening musical program. Bob Hinkle began his career as a performer while in college at the University of North Carolina in Chapel Hill. He was a member of a trio called The Good Earth and when he and his bandmates graduated they headed straight to New York where a recording contract awaited them with the DynoVoice label. After a couple years of touring and recording with The Good Earth including serving as the backup band for Mitch Ryder and the Detroit Wheels, Bob released a solo recording of his own entitled Ollie Mogus. For the next fifteen plus years, Bob Hinkle and Jeb Hart successfully managed the careers of leading pop music starts including: The J. Geils Band, Tom Chapin, Manfred Mann, Naked Eyes, Patti Lupone, Etta James and others. Bob returned to the WNC mountains to open White Horse Black Mountain, which celebrated its 10th anniversary in Nov 2018. St. Patrick’s Day, March 17, also called “The Day of the Feast of St. Patrick”, has deep roots in Irish history but also is celebrated in more countries than any other national festival. It is especially observed in the several countries that have long been a part of the Irish diaspora: the United States, Canada, Britain, Australia, New Zealand and Argentina. It commemorates the foremost patron saint of Ireland Saint Patrick, who is credited with bringing Christianity to Ireland. His legend and life are revered in the annals of Irish history. Captured by Irish pirates from his home in Roman Britain, he was taken as a slave to Ireland, where he shepherded animals but after six years escaped and returned to his family. After becoming a cleric, he went back to northern and western Ireland and introduced the Irish to Christianity in 431 A.D. In his efforts to convert the Celts, he practiced inclusivity and highlighted the many similarities between their beliefs and those of the Catholic faith, such as the existence of an afterlife and harmony with their environment. March 17 is said to be the date of his death in 461 A.D.
Celebrations of St. Patrick’s Day have expanded well beyond Irish religious and cultural observances by the colorful festivities in America and elsewhere: parades, festivals, concerts, and general partying. The largest St. Patrick’s Day parade is in New York with many other substantial and colorful marches including Boston, Savannah, Chicago, Toronto and Montreal – all with a history of significant Irish immigration. 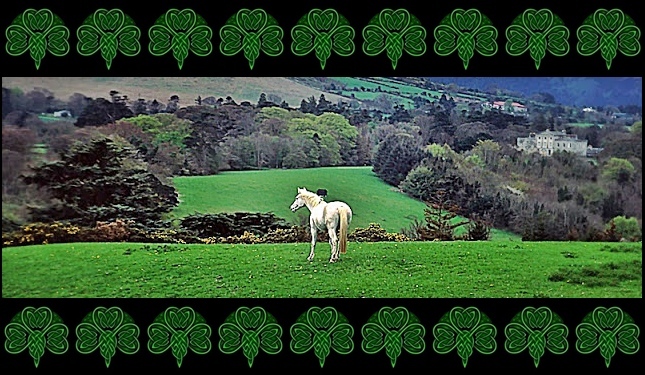 In previous decades Ireland has adopted many of the Day’s festivities from across the sea, but still observes it as a religious holiday and largely has avoided the American excesses of green beer, commercialization and deafening rock music pretending to have something to do with Ireland. The “Wearing of the Green” is customary throughout, a color associated with Ireland since the 1600s, as is the three-leaved shamrock (which St. Patrick used to explain the Holy Trinity to the pagan Irish),Ireland’s iconic symbol. I have always felt that another factor is at work with the anticipation and celebration of St. Patrick’s Day. In many areas, March 17 and its contiguous days bring the welcome breath of spring: the first sign of the golden daffodils, a softer air after the harsh winter days, a greening of the landscape, and the upcoming spring equinox as the sun “crosses” the equator with the promise of longer and languid days of spring. It is indeed a time for celebration but hopefully with special emphasis on two of Ireland’s great gifts to the world: poetry and song.